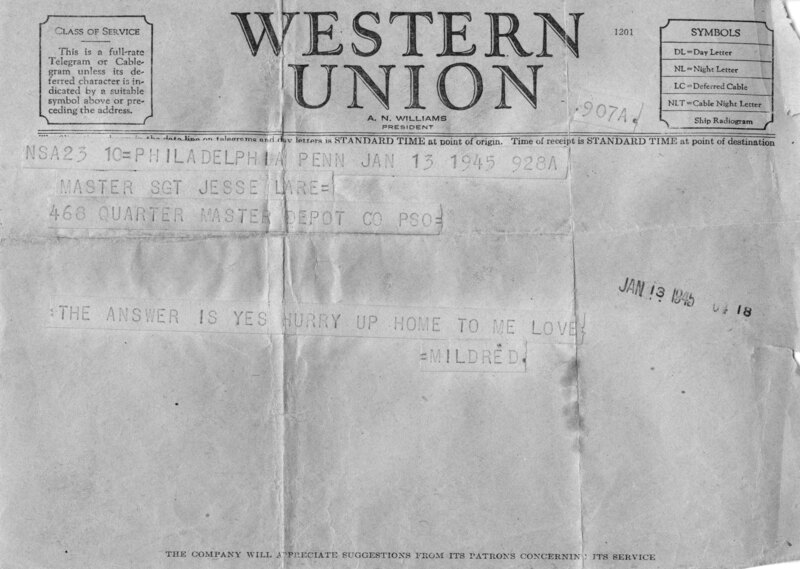 “No, I am not crazy for writing you twice in one day, just head over heels in love with you!” Thus, the ever romantic, Master Sergeant Jesse Lare began his letter to Mildred Patterson of Fishtown, Philadelphia, on September 27, 1944. Jesse and Mildred had not known each other for very long. 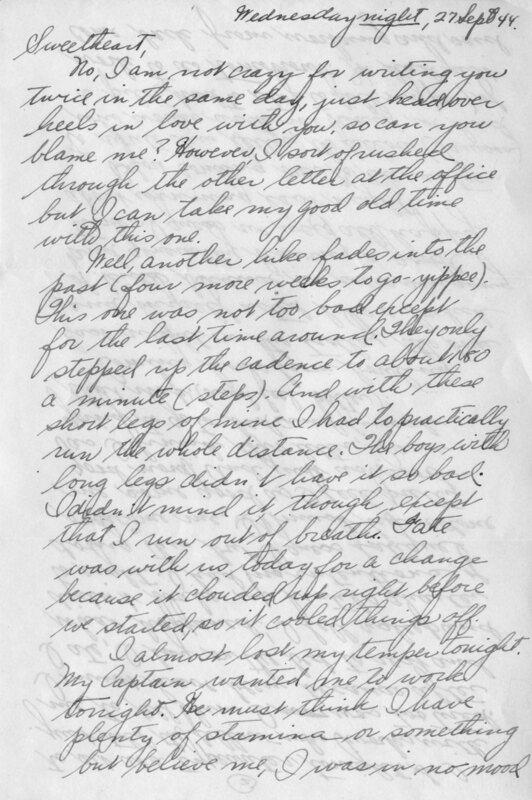 They met at a mutual friend’s house several months earlier, and their correspondence had begun in June, when Jesse first wrote to Mildred. They maintained a correspondence that lasted almost two years and led to their marriage. Jesse, who was also from Philadelphia, was stationed in Memphis at Second Army Headquarters, and later, at Camp Shelby in Mississippi. He was serving in the Second Army, a training outfit that readied troops for combat and other army jobs. Mildred lived in Philadelphia, and worked at the Kensington National Bank. told each other about the daily goings on of life, from progress in the war to activities in Philadelphia and at the army base, the weather, and their feelings. It is clear they were well-suited friends, and the romance that quickly developed was a natural next step. Having met in person only a few times, they married in January 1945. 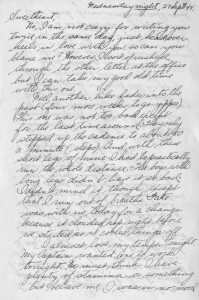 As a married couple, they maintained a candid correspondence in which they regularly discussed the ups and downs of their relationship and future together. 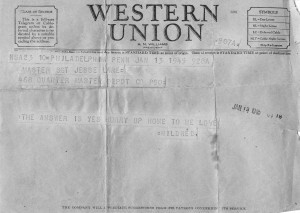 The Jesse and Mildred Lare Correspondence, 1944-1945, was donated to the Special Collections Research Center by Jesse and Mildred Lare’s daughter, in early 2015. This great World War II era collection has been processed and is available for research use! To learn more, check out the online finding aid.